Varama Cover Cream is a professional camouflage make-up which conceals all visible skin damage and discoloration. 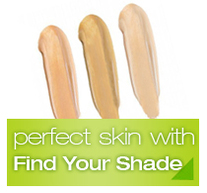 It has a unique formulation for a natural looking finish with opaque cover. The cover cream is applied in thin layers and will spread to cover large areas without looking heavily made-up. From 1 - 30 September 2018 Talkhealth team up with Action Against Allergy, British Skin Foundation, Changing Faces and The Vitiligo Society and Skin Camouflage Services to present an Online Clinic on Skin Conditions. Get your questions answered by leading dermatology experts throughout September. * 20% off all Varama Cover Creams, Varama Cleansers, Mixing Palette, Toners and Matt Base. 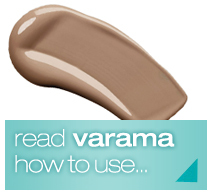 ​​​﻿Varama Cover Cream is long-lasting, waterproof, sweatproof make-up that is easy to apply. Varama Cover Cream has a unique system of Base Colour and Drop-in pigments which can create an unlimited range of colours for a natural skin colour match. Follow the 'Find Your Shade' to find your skin colour group. Varama Cover Cream is a camouflage and concealer make-up used to cover Birthmarks, Vitiligo, Tattoos, Scars & Acne, Varicose Veins, Eczema & Psoriasis, Burns & Skin Grafts, Skin Discolouration, Bruises, Scars from Self Harm, Solar Lentigo & Rosacea. See the full list of skin conditions here.